Are you planning on swimming, cycling, and running all in one day this summer? I’d point out that sounds like a lot of work (I’d advise just doing one instead). 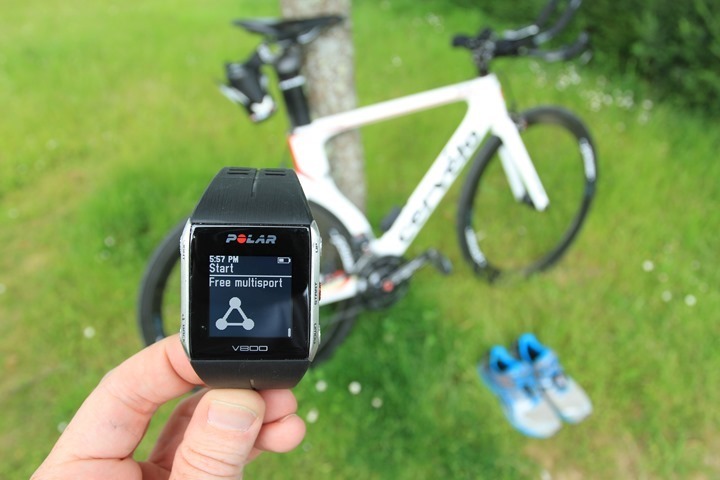 But, if you’re headstrong on doing the whole triathlete thing – then the Polar V800 is the newest triathlon kid on the block and certainly worth a shake (and, if you shake around afterwards, it’ll actually capture that data too!). Oh, even though it’s the ‘new kid on the triathlon block’ it has no relation to New Kids on The Block: Totally different. Speaking of which, remember the New Kids lunchbox? Yup, I had one of those. Awesome giveaway for an awesome website! Good luck everyone!! Did I make it on time? Oh yes I like this. Am I the lucky winner?